One of the prettiest women I know in Delhi is 70 years old but looks 45. People routinely ask her husband if she is his second wife. When I ask her for beauty secrets, she says, “Use the kitchen counter.” Every day, as she makes breakfast for her family, she uses whatever is available to prepare a mask and apply it on her face. It could be tomato juice, potato, papaya, honey, lemon juice, oats, yogurt, cucumber peels, or a mixture of all these. The point is to do it every day, even if it’s for 15 minutes. An underused but magical ingredient for beauty treatments is a plant that is indigenous to India: Curcurma aromatica, or kasthuri manjal (junglee haldi), as it is referred to in Tamil. 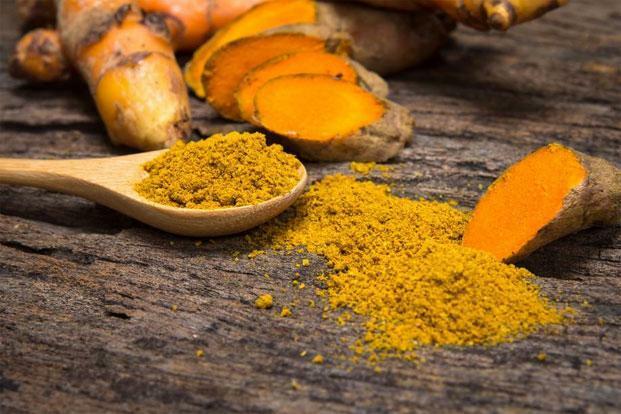 This wild turmeric is anti-inflammatory, antibacterial, antioxidant, and a whole range of “anti” prefixes that actually translate into positive benefits. Indian women have used this plant for centuries. According to Indian pharmacology, it staves off wrinkles, evens out the skin tone, fights acne and blackheads, and makes you look years younger. Why has it fallen out of favour? I think it has to do with the fact that it is hard to procure and mix, as you will discover. In Chennai recently, I had to walk around Mylapore to discover the nattumarundhu or country medicine shops that sell Curcurma aromatica. To use it, one has to mix a little bit of it with ingredients such as rose petals, orange peels or green moong dal, all of which are sold in individual quantities at these “country-medicine” shops. The mix is then ground into a powder. It can be mixed with milk or water and applied every morning. Such shops exist in most Indian cities and towns. It is just that they are hard to find. Just listing the steps is tiring. Why would a busy professional resort to all this when stuff in bottles is available, even if it is at five times the price? If, like me, you don’t have the discipline to make masks every morning, here are a few things you can do for your well-being. In my garden, I grow brahmi, tulsi, betel, and Indian borage, called karpuravalli in Tamil. Ever so often, I walk out into my balcony, break off a few of these leaves, wash them, and pop the entire combination into my mouth. That’s right. Take a variety of fresh leaves and eat them. If possible, chew on them first thing in the morning. I started doing this to combat colds and improve my memory. Now it has become a habit. Another plant that grows in plentiful in Indian gardens is aloe vera. As I walk around my building every morning, I take some aloe vera gel and apply it on my face. By the time I’m done walking, the 20 minutes that it takes for the gel to work are over. So all you have to do is wash off the gel. Lots of people drink a concoction of lemon juice and honey diluted with warm water when they wake up, both to lose weight and to improve the digestive system. If you don’t have the patience to make this concoction every morning, simply cut a slice of lemon and dunk it in hot water as I do. Naturopaths say this lemon water stimulates your digestion, benefits your liver, adds electrolytes and improves your body metabolism. In that hilarious movie The Goodbye Girl, actor Richard Dreyfuss drives his girlfriend mad by chanting, “My body is a temple and, therefore, what I put into the temple has to be holy.” Holy is what we call prasad in India. Eating only sugar-rich prasad is hardly healthy. But in keeping with the spirit of the dictum, being careful about what you put into your body or “temple” should count. An easier dictum to keep in mind is this: What you eat first thing in the morning is important. Don’t screw it up, or waste it, by chugging down tea or coffee. If possible, eat healthful ingredients before your first cup of coffee. Shoba Narayanis trying to drink coconut oil first thing in the morning. It is difficult. She blogs at Shobanarayan.com, tweets at @shobanarayan and Instagrams at #shobanarayan.